Divine : The immobile odyssey. 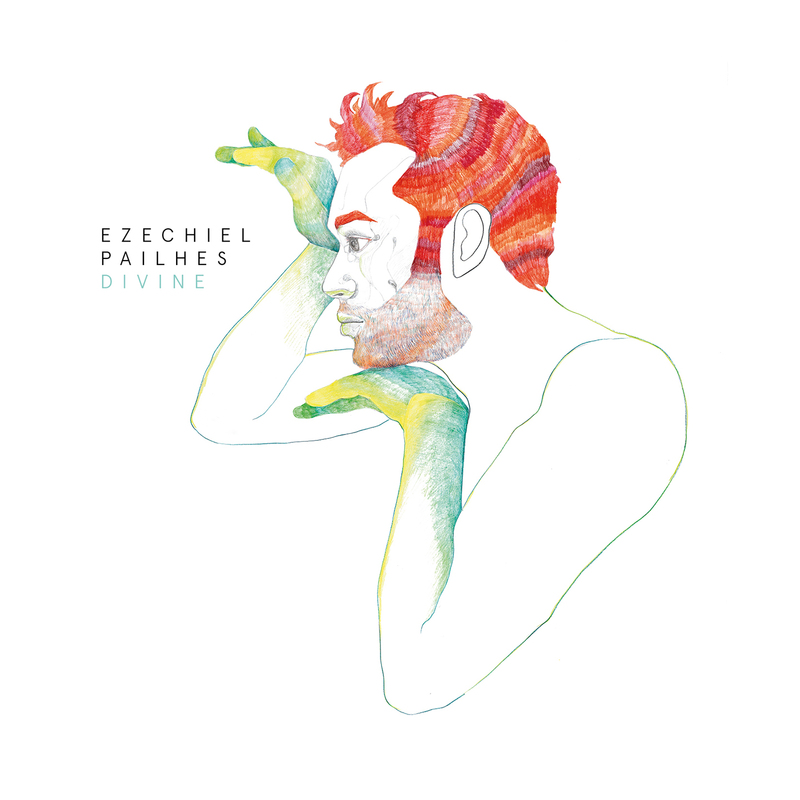 For a long time before the success of Noze led him to discover the rest of the world, Ezechiel Pailhès remained a prophet in: his country. For a long time as well, he worked on creating what became his first solo album, waiting for the right moment when he could no longer contain all the melodies that populate this 14-leg epic. A voyage in a free world, where creation knows no formal constraints, where everything mutates according to the determined inspiration of the moment.Transforming the original pieces without knowing in advance how they will end up, disguising the instruments so that they are mistaken for others, nothing frightens this intrepid sailor whose ship is nevertheless securely moored at home, Ezechiel composes and plays at home in Paris. Sole master on board, the tinkerer illusionist prepares his piano with mechanic’s tools (scotch tape, rubber, percussion, wooden claves adrift over the strings), obtaining instruments that do not sound where we expect them.This adventure is, he says, a fiction he wants to believe in.The result is equal to the creator and his character. 14 captivating melodies like siren songs, sometimes dressed in a simple lala or lyrics by David Lafore, 14 ports of call offering a sweetness that is at times extremely melancholy, 14 pieces whose implacable refrains take root the first time you listen to them. This is indeed a divine crossing people with wide-ranging references (Serge Regianni, D Angelo, Bernard Hermann, Timber Timbre, Stevie Wonder but also Henri Duparc, Moondog, Keith Jarett or Tony Benett ) that we are invited to share with Ezechiel whose career as a pianist has evolved on the stages where he has been performing for years as a duo with Nicolas Sfintescu ( Nôze ). A succession of landscapes, of cinematographic images, some of the pieces were composed for movies and remained at the dock when others made their way to the silver screen (Bancs Publics co-written with David Lafore for Denis Podalydès )…A voyage that successively makes you want to dance, to dream, simply to listen the way you gaze at the horizon seated on the deck of a sailboat. There is the heady sailors’ nostalgic longing (Quiétude, inspired by a sonnet ofW. Shakespeare ) but also their cheerfulness, their lightness, the festive nature of the ports where things swing and the emotion of the infinite contemplated, the heart stirred by the swell. Divine is the companion for all trips, the disk you take to the deserted island and to the loft in Berlin, the disk that you play constantly without tiring of it because each listening reveals places you were unaware of, sounds that had not yet been discovered, because it thrills music lovers. Divine is the road songs that you want to share with your pals, but whose story you keep to yourself, this song reminds me of this, another takes me there. With the top up or down.And you embark without resistance, Ezechiel is at the helm, you can travel calmly. On a crowded dance floor here or elsewhere, or like him returned safe and sound: perfectly immobile.